New Memeber from Winnipeg, Canada! I'm a new member. 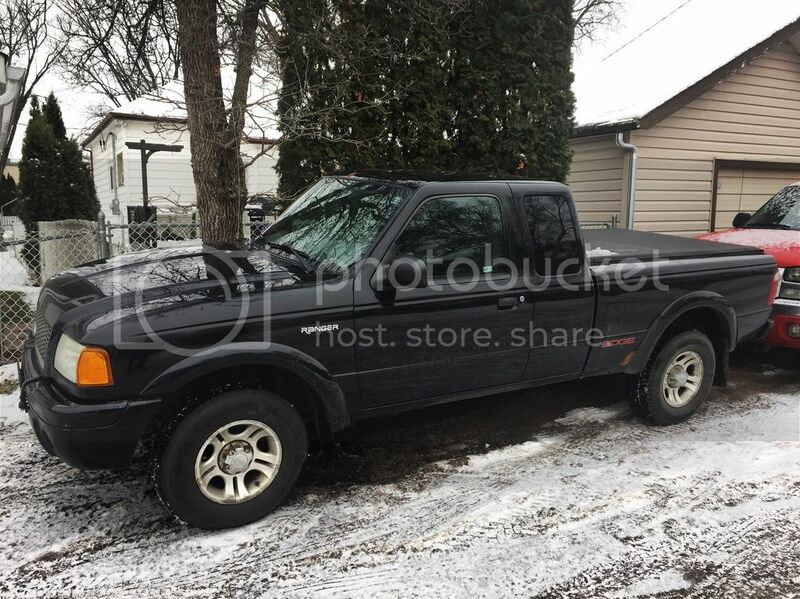 I just picked up a 2002 Ranger Edge this weekend after my winter beater unexpectedly died on me. Wasn't really looking for a ranger, but a smaller truck to haul my snowboard gear around and dirt bike in the summer. Stumbled across this locally, and have been driving it the passed couple days. Really happy with it so far.I've been lurking this forum a bit, and one of the picture threads has already made me catch the mod bug. So far no plans really except driving it through winter, but after lurking a bit, makes me want to do something suspension wise. 33's and a T-bar crank have caught my eyes and look pretty sick! Although, I've still got a ton of research to do, as this is the first truck I've ever owned. My other car is a 1995 Toyota Celica. Re: New Memeber from Winnipeg, Canada! Welcome Colin, Glad you found us. Have fun and enjoy FRF. ayyyy you joined up. welcome man.